– Venue: PSG Institute of Medical Sciences & Research, Coimbatore. ​Pre-workshop: Assistance and basic roadmap from RIFC team. During Workshop: Listen–Learn–Discuss–Make a strategy–Present–Get a chance to win the PRIZE WORTH 50,000 INR ISO standards for two participants. Travel fellowship: ​VC Incubatees, BIRAC Grantees who are small entities — Avail Travel fellowship up to 13,000 INR. HOW TO WRITE A QUALITY MANUAL? How to become an ISO 13485 Certified Medical Devices Company? Ms. Syamni Sasidharan, Quality Assurance Executive from MolBio Diagnostics Pvt. Ltd., Goa. She spoke on the salient features of medical devices, including classification, working of licensing clearance system (Authorities, officers, and bodies) and product recalls on knowledge of risk to safety. Regulatory requirements for GMP manufacturing site, and post-approval regulatory mandates. Dr. Prasad Kulkarni, Medical Director, Serum Institute of India Ltd., Pune. He highlighted the current Indian Drug Regulatory System, Apex/Committee, and their functions. He described the prior requirements for the clinical trials in India. Clinical trial phases, costs, and process flow as per the Schedule Y of D&C Act and its rules. He has pointed at the global position of India in the clinical trials market. The overall feedback received was positive, though there are certain areas where the entrepreneurs would like more information like IVD devices, clinical performance requirements and willing to have a one to one talk with the regulators to clear specific queries apart from the acts and rules. Also, few participants are keen to undergo/ join a workshop on the particular processes of regulatory needs. RIFC will be communicating with the entrepreneurs further to resolve their queries and work on the suggestions in the upcoming R Clinic. One to one talks with regulators. Case studies group discussion on documentation requirements for clinical investigation, manufacturing for sale and risk management. 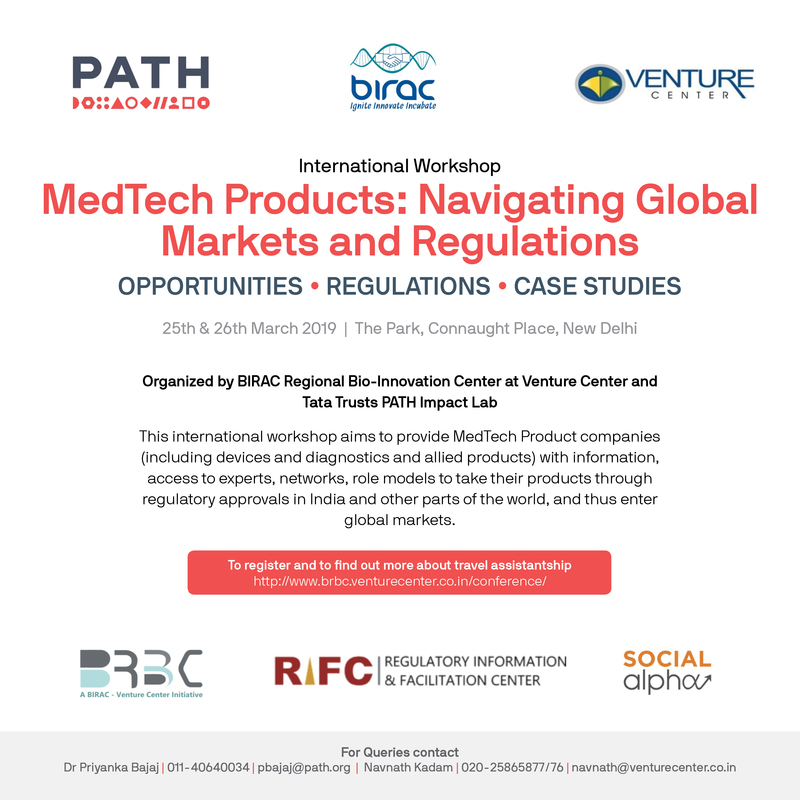 Wherein, it addressed the regulatory requirements and roadmap for securing the regulatory approvals, importance, and valuation of voluntary certifications in marketing a product in various jurisdictions. Also, the event enlightened the QMS, documentation requirements, identification, and mapping of applicable standards& guidelines. Ms. Syamni Sasidharan, Quality Assurance Executive from MolBio Diagnostics Pvt. Ltd., Goa. She focused on the certification requirements, licensing process flow manufacture for sale or distribution, for In Vitro Diagnostic medical device and addressing the queries of licensing authorities under the new Medical Devices Rule 2017 of the D&C Act 1940 and the planning and preparation of Quality Management System as per ISO 13485:2016. She also clarified the route for clinical investigation of medical devices and clinical performance evaluation of In Vitro diagnostic medical device. Mr. Anil Chaudhari, CEO of Operon Strategist, Pune. He explained the importance of Design Control at the early stage of product realization could avoid the post-market design changes, which ultimately lead to the business continuity and saves re-design cost. He showcased real-world examples of product recalls due to improper design, ignoring the user needs, not considering the historical incidents of relevant devices. A journey of Design Control as per 21 CFR 820.30 was an eye-opening for new entrepreneurs, where they understood the design input-output, a difference between verification and validation. The overall feedback received was satisfactory, though there are certain areas where the entrepreneurs would like more information namely how to take their processes further and the companies/agencies that can help them with their entire regulatory process. RIFC will be communicating with the entrepreneurs further to resolve their queries and or direct them to the appropriate consultants. Focus on areas of Biologics, Therapeutics, and drugs. RIFC is pleased to announce the launch of its first advisory service. RIFC shall start with a basic advisory service to guide entrepreneurs. In the coming months, many more services will be launched. RIFC aims to inform and facilitate regulatory approvals for bio-entrepreneurs. It will work closely with experience entrepreneurs, experts, consultants and regulators to achieve this goal. 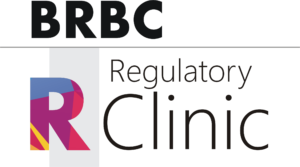 RIFC is happy to announce that it will be running its first R Clinic (regulatory Clinics) for entrepreneurs on 10th July at the Golden Jubilee Women’s Biotech Park, Chennai as part of the BIRAC TiE WinER program.